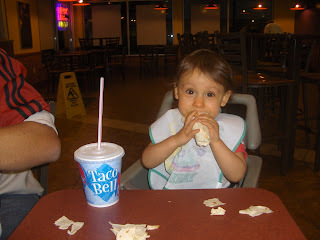 Well, our usual Sunday dining yielded a great photo of our very own "Taco Girl." She even got her own cup of water---with a straw. How big is that? ?